Summary: So much is going on in 10-year-old Celie’s life—her sister has a new boyfriend, her best friend has a new friend, and her Granny is having memory issues—that it’s sometimes tempting to try to figure out what’s going on by snooping. So Celie reads her sister’s texts and swipes a note her best friend Lula passed to Violet. But the consequences of these actions are more conflict, and Celie learns some important lessons about respecting other people’s privacy. The second installment of a series, this book is written in diary format, liberally illustrated with Celie’s sketches. Readers will be glad to see the sneak peek into diary #3 at the end of this book. 176 pages; grades 2-6. 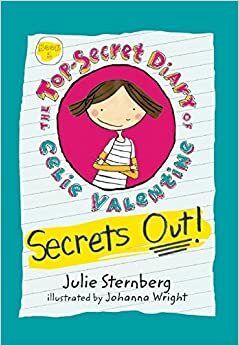 Pros: Fans of diary-type books will enjoy reading Celie’s journal. 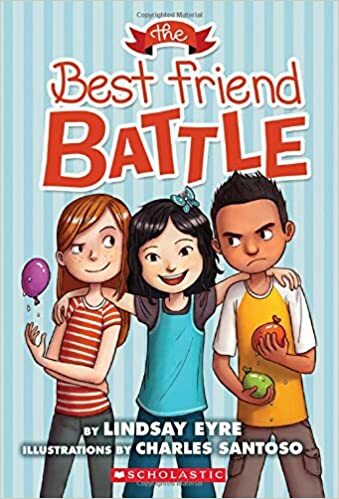 A bit more serious than Diary of a Wimpy Kid or Dork Diaries, this nonetheless captures perfectly a 10-year-old’s view of the world and her sometimes inappropriate choices on how to deal with difficult issues. Cons: I accidentally started with book 2 and wished I had the background from the first installment. Summary: Grandma doesn’t look like other grandmas. She’s tall and bony, and she likes to tuck her pants into her boots and go tramping through the woods. She doesn’t bake cookies, but she knows how to grow and can tomatoes and string beans. Grandma’s daughter worries about her living alone in the woods, but her granddaughter knows she would be unhappy if she had to live away from the animals and birds that she loves. As the two of them lie in the snow out by the pond on a moonlit night, the little girl hopes that she grows up to be just like Grandma. Grades K-3. Pros: A beautiful intergenerational story illuminated with lovely illustrations showing Grandma’s cozy cabin and the woods surrounding it. This would be a great mentor text for characterization. Cons: I can’t help thinking there must be a real “North Woods Girl”, but there was no author’s note. Summary: It’s been quite a few years since Stephen Johnson received a Caldecott honor for his Alphabet City but he’s back for a similar foray into a school. 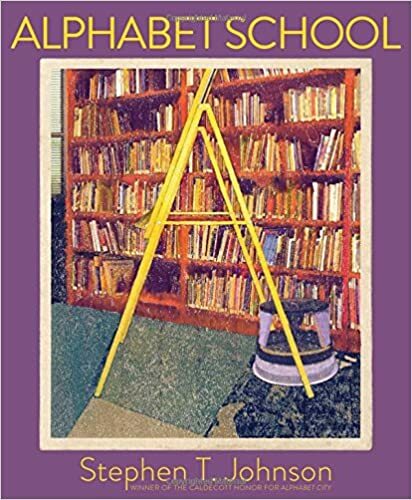 From the easel that forms an A to the yellow lines on a blacktop that make a Z, Johnson has found the shapes of letters in the classroom, library, gym, cafeteria, and playground. Readers will be on the lookout for letters and numbers all around them and may be inspired to try to make an alphabet book of their own. Ages 3-7. Pros: The artwork is unique and beautiful. 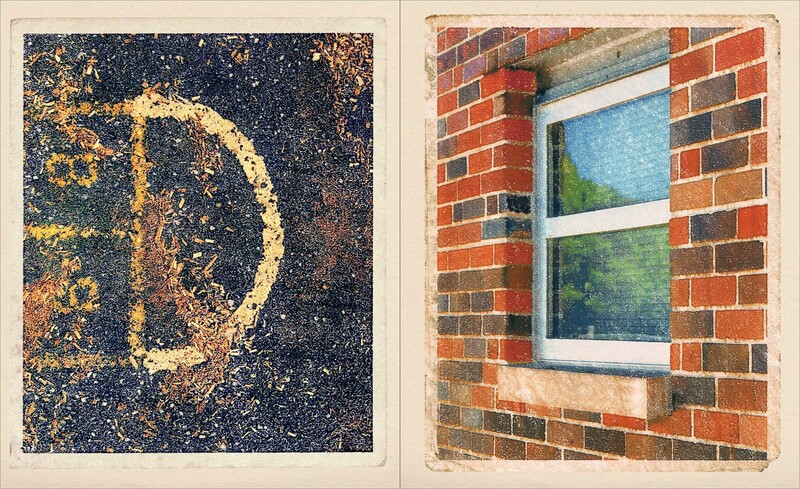 Kids will enjoy finding the shape of the letter in each picture, then looking to find those shapes around them. Cons: I would have liked a description of how the distinctive artwork was created. It’s a cross between a photo and a painting. 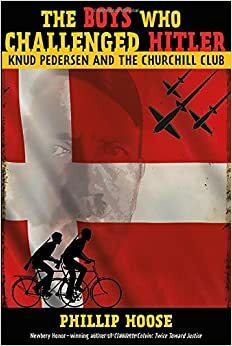 Summary: When Germany invaded Denmark in April 1940, fourteen-year-old Knud Pedersen and his fifteen-year-old brother Jens were appalled by how quickly the Danish government capitulated. There was no Danish resistance, while in neighboring Norway, thousands of people fought the Nazis. Knud and Jens organized some of their school friends into the RAF Club, inspired by the British pilots who were fighting the Germans. The boys used their bicycles to commit acts of sabotage, such as turning signs around and cutting phone wires. When the Pedersen family moved the following year, the boys found new recruits, this time calling themselves the Churchill Club. The club’s activities grew more serious and bold, focusing on amassing a cache of weapons stolen from German soldiers. A year later, the boys were caught and sent to prison. But their actions had inspired a nation, and the Danish resistance was born. An epilogue tells what happened to all the boys; a lengthy bibliography and notes section encourages more reading. Ages 11 and up. Pros: A powerful and inspiring story of heroic boys who squeezed their acts of sabotage in with studying for junior high exams. Told alternately in the third person and the first person voice of Knud Petersen, and illustrated with many photos. Cons: None of the boys escaped unscathed. While all survived the war, many had lifelong difficulties stemming from the stress of their activities and jail time. Summary: “Open your eyes, and look. Open your eyes, and see. And say thank you, for today is today. Be grateful, for everything you see. Have gratitude. Today is today, and it is a gift. 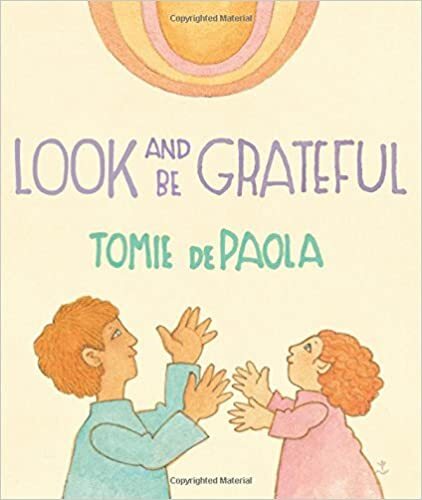 So, be grateful.” That is the entire text of this little book, illustrated in Tomie dePaola’s distinctive style. A young boy wakes up, looks at the world around him, and is shown on his knees praying with his little sister on the final page. All ages. Pros: May Thanksgiving find you as full of gratitude as this book. Cons: Gratitude and turkey can be a dangerous combination. Go easy. Summary: Sylvie and Miranda have been best friends just about their whole lives. But now a new boy in the neighborhood, Georgie, is becoming friends with Miranda, and Sylvie is worried that she’s losing her friend. She decides that Miranda’s upcoming birthday party is her chance to prove what a good friend she is by giving the most spectacular present she can find. Her misguided attempts result in a stolen ferret, a twisted ankle, and an enormous cardboard castle covered with glitter glue. Will Miranda appreciate Sylvie’s efforts, or is their friendship doomed to come to an end? Grades 2-4. Pros: Sylvie is a likable character with worries and self-doubts that many kids will relate to. Her clumsy but heartfelt efforts at friendship will engage beginning chapter book readers. Look for the sequel, Mean Girl Meltdown. Cons: The stolen ferret storyline made me anxious. Summary: Michel Chikwanine had a pretty idyllic childhood with his parents and three sisters in the Democratic Republic of Congo until he was kidnapped one day at the age of five. He and his friends were taken in broad daylight while playing soccer and forced to become soldiers for a rebel army. Then were given drugs and taught to shoot. One nightmarish day, Michel was blindfolded and forced to shoot and kill his best friend, Kevin. After two weeks, Michel managed to escape and make his way back to his family, but it was impossible for him to resume his old life. Eventually, the political situation in the Democratic Republic of Congo worsened; Michel’s father was imprisoned and killed; and Michel, his mother, and two of his three sisters made their way to Canada. After a difficult transition, Michel has been able to tell his story and now travels the world inspiring others to make a difference. Grades 6-9. Pros: An incredibly powerful story told in graphic novel form. The page near the end in which Michel sits on the bus listening to his classmates complain about cold pizza, boring classes, and crummy cell phones should give anyone with “First World problems” pause. 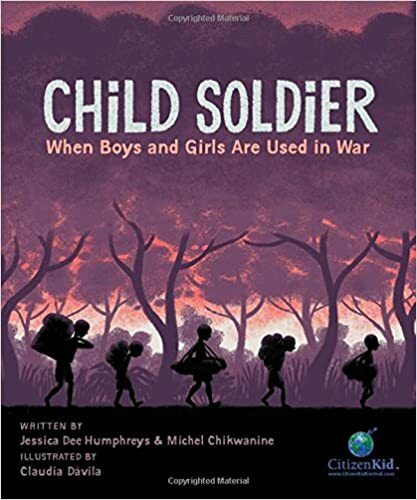 The last few pages, with more information about Michel, child soldiers, and what kids can do to help, will inspire readers to take action. Cons: Read this book before giving it to a child. It’s part of Kids Can Press’s Citizen Kid series of inspiring picture book stories of Third World children, but this one is much darker and more intense than any of the others. There are a couple of pretty disturbing scenes that may not be appropriate for all young readers.